After somebody has passed away there are a variety of essential tasks that are required to be completed. If the individual passed away leaving a valid Will, then the Executor(s) take on this responsibility. If a friend or family member has died and made you Executor of their Will, you are responsible for administering their estate, paying any outstanding debts and distributing the estate in accordance with the Will. You will typically require a Grant of Probate so that Banks, Building Societies and others will recognise your authority to administer the estate. However, the organisations that actually hold the assets (Banks, the Property Registration Authority, Workplace) require to be satisfied that the person acting upon behalf of the estate is lawfully entitled to do so. In Ireland, the document that gives authority to deal with funds and property is known as a Grant of Probate. What takes place if there is no Will? If no Will exists an application can be made for Letters of Administration. Once authorised to act, an Executor or Administrator have the exact same powers. What happens to my estate if I do not have a will? What should I bring to my Probate Solicitor? The Will. If there is no Will we can still continue. Death Certificate. If the Certificate is not readily available we can source it later on. Any of the deceased's documents as you can discover which relate to home, financial or related matters. If you can't locate all the documents bring what you can find. Over the Will itself - Is it a valid will? Did the person making the Will have mental capability to look after their affairs? Is the division of assets in the Will fair? Are the Executors/Administrators administering the estate effectively? How do I know if someone left a Will? It is not uncommon that the person who is the most likely Executor chooses not to offer a copy of a Will (or even to deny any knowledge of the presence of a Will) to a person who would reasonably be anticipated to be a recipient under the Will. In such scenarios, legal guidance needs to be sought as a matter of urgency. 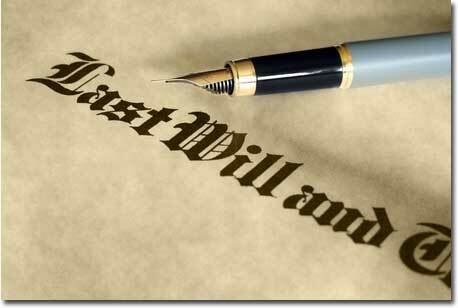 There is no obligation on an Executor to give beneficiaries a copy of the Will. Different advisors interpret this in different ways. Very often relatives of a family should see their parents Will whether or not they receive a benefit.